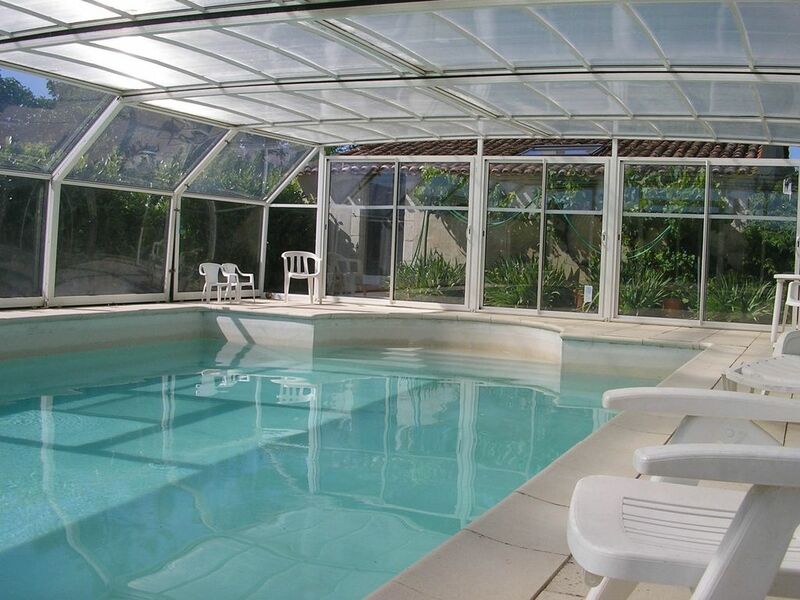 This friendly house region will offer you a relaxing stay in a small village in the plain Vendée near the Marais Poitevin. You will enjoy its spacious swimming pool, space in the sun as in any weather. Between North and South, coast and grove, with all the richness of its history, discover the Vendée in all its diversity. Quiet little village and amazing pool! What a nice little find this place is. The village is very quiet but only a short drive to Luçon for supermarkets, etc. The house itself is spacious and very clean. Two good sized bedrooms that easily accommodate 4 people. The pool is amazing and the cover helps to keep it very warm. It was a constant 30.5 degrees C while we were there, so we couldn’t have asked for more. The owners were on hand but not intrusive and are very accommodating should you need them. The takeaway pizza place and shop are a great little feature of this sleepy village, we will definitely be returning one day - hopefully soon. A very warm welcome from our hosts, who were always on hand to help and offer advice, and a perfect house for us - it has everything you need. We much appreciated the heated pool, the washing machine and dryer, the dishwasher, and the general ambience of the charming house. We would return without hesitation. Perfect for a family such as ours (two young children) and very relaxing. We also enjoyed the bar across the road with its table-football! Magnifique petit week-end vraiment couper du train train quotidien parisiens nous avons adoré la maison la piscine tout étais géniale. Parfait pour se reposer et découvrir les alentours de la ville La rochelle Les sables d'Olonne ainsi que l'île de ré nous sommes reparti avec de très bon souvenir. Maison de style et piscine privée. Très bon séjour au calme, à 2 pas de tout ce qu'on voulait voir. la maison est grande et très bien décorée - ce style ancien est à croquer. La terrasse ombragée, la piscine juste pour nous, c'est ce qu'on recherchait. A 45 minutes du Puy du Fou, de La Rochelle, et 35 minutes de la Faute sur Mer. Parfait. Petite commune calme, l’Angélus à 7h00 et 19h00 rythme la journée. Un petit air de campagne Vendéenne. Et enfin des propriétaires avenant comme il faut. Location des draps pour 8 euros par lit sur demande. Pour toute autre demande, nous consulter.